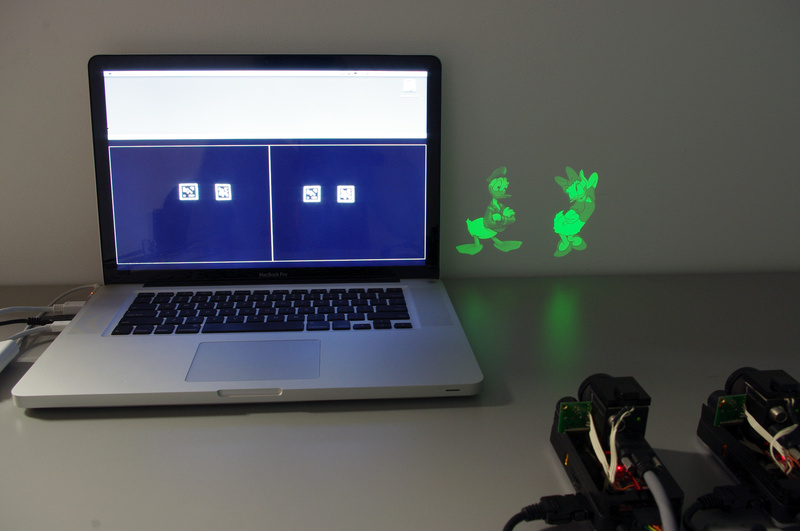 SideBySide is a novel interactive system that allows multiple people to play games and work together using handheld projectors. The concept is simple: users project an image onto a surface and this projection becomes responsive to other nearby images. 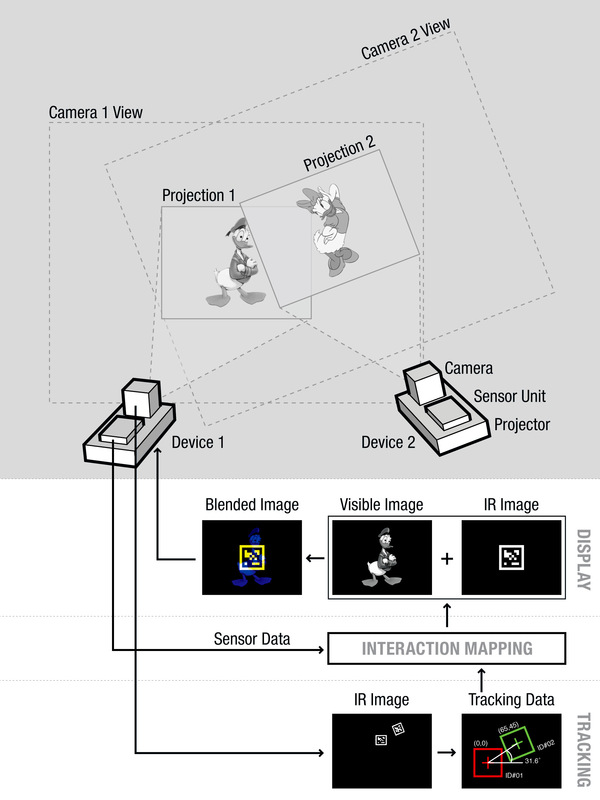 Interaction can range from projector-based games, such as boxing with characters, to everyday tasks such as exchanging contact information by “dragging and dropping” onto another user’s projection. The real benefit of SideBySide is that it does not require any fixed sensing equipment and can be used anywhere: at home, at the office, or even in the car during long trips. The system consists of a hybrid mobile projector that simultaneously outputs both visible and invisible projections. 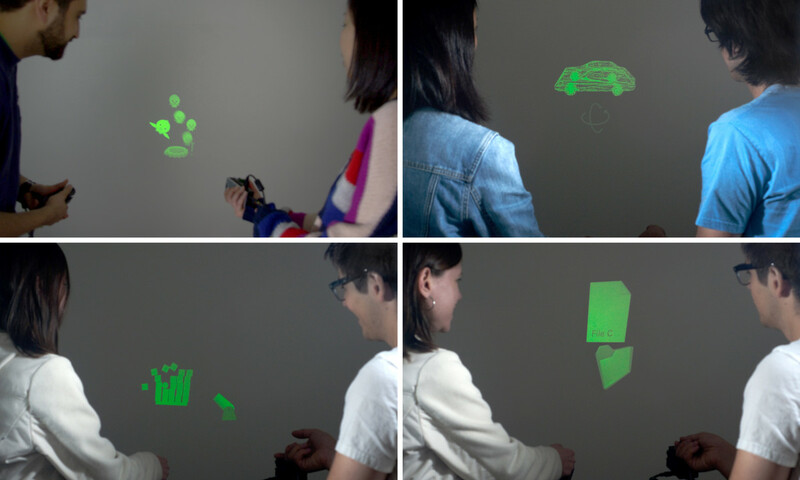 The invisible projection contains tracking data that is recognized by the device’s camera, allowing accurate location tracking of multiple projections and lightweight communication between devices. Willis, K. D.D., Poupyrev, I., Hudson, S. E., Mahler, M.
Best Paper Award at UIST 2011 Conference. Best Demo Award at UIST 2011 Conference.